In 2009. 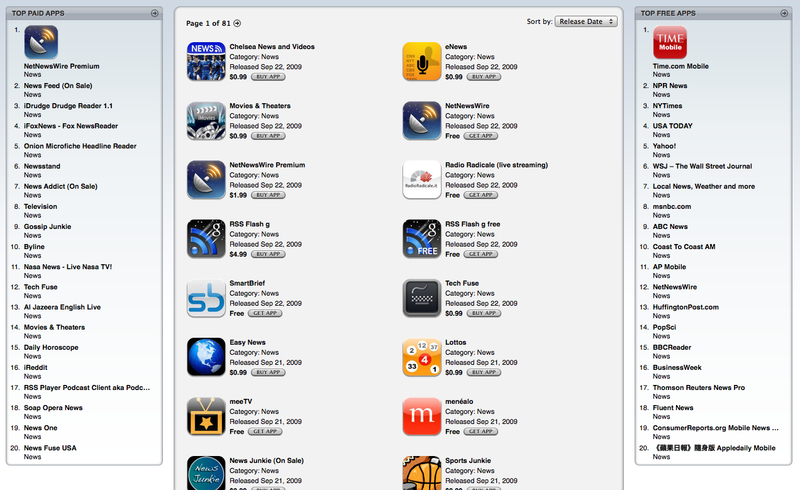 NetNewsWire Premium, at $1.99, is top paid app in the news category. The free version is #12. In those days the App Store was still available on iTunes for Mac.